EUR 20 million EIB loan will be used to accelerate research and development of Nightingale’s blood analysis technology. Loan backed by European Fund for Strategic Investments, part of the Juncker Plan. Nightingale Health, the Finnish innovator of an internationally recognized blood analysis technology for chronic disease prevention, today signed a EUR 20 million loan transaction with the European Investment Bank (EIB), guaranteed by the European Fund for Strategic Investments (EFSI), a key element of the Investment Plan for Europe, also known as the Juncker Plan. The loan will be used to further accelerate the research and development of Nightingale’s blood analysis technology, facilitating better prediction and prevention for chronic diseases. The growing burden of chronic disease poses a significant threat to citizens' wellbeing. It is also estimated that 70-80% of all healthcare costs in the EU are chronic disease-related, accounting to approximately EUR 700 billion . Nightingale’s innovative blood analysis technology can detect early signs of a large number of these diseases, improving the assessment of a person’s future risk of developing heart disease and type 2 diabetes. By helping physicians and patients to better understand an individual’s chronic disease risk, effective interventions such as medications and lifestyle changes can be taken to slow and prevent disease progression. The EUR 20 million loan from the EIB represents another major step forward towards integrating Nightingale’s technology in European healthcare. Already used widely in public health research, the company’s goal is to achieve full clinical integration for its technology by replacing conventional biomarker tests for chronic diseases (e.g. cholesterol tests). By further accelerating the regulatory approval process through rigorous scientific evidence generation, the company aims to realise the promise of precision medicine. Nightingale has already received CE marking for its blood analysis technology in 2017, enabling clinical use of its technology in Europe, and its Quality Management System is certified to EN ISO 13485:2012. 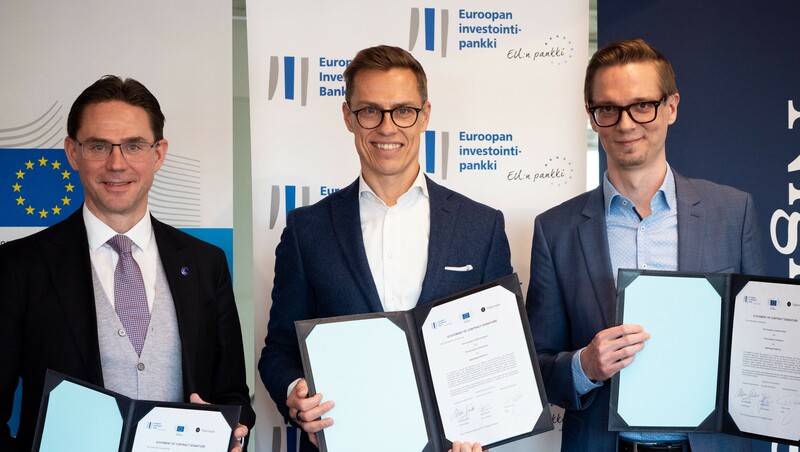 Nightingale will match the EIB’s loan, altogether resulting in EUR 40 million in total investment that will be used within the next 3-5 years to further advance Nightingale’s R&D and scientific evidence generation. Nightingale Health is the Finnish innovator of an award-winning blood analysis technology. By measuring the comprehensive health state from a person using a single blood sample, Nightingale equips biomedical researchers with insights into the effects of lifestyle factors and future disease risk, accelerating breakthroughs in chronic disease prevention. The company is investing and working towards integrating its technology into clinical practice to bring about precision medicine – empowering patients to follow up on their own well-being and take proactive steps to stay healthy. The Investment Plan for Europe – the Juncker Plan – focuses on strengthening European investments to create jobs and growth. It does so by making smarter use of new and existing financial resources, removing obstacles to investment, and providing visibility and technical assistance to investment projects. The European Fund for Strategic Investments (EFSI) is the central pillar of the Juncker Plan. It provides a first loss guarantee, allowing the EIB to invest in more, often riskier, projects. So far, the projects and agreements approved for financing under the EFSI are expected to mobilise over EUR 371.2 billion in investments and support around 856,000 SMEs across all 28 Member States. Find the latest EFSI figures by sector and by country here, or see the FAQs.